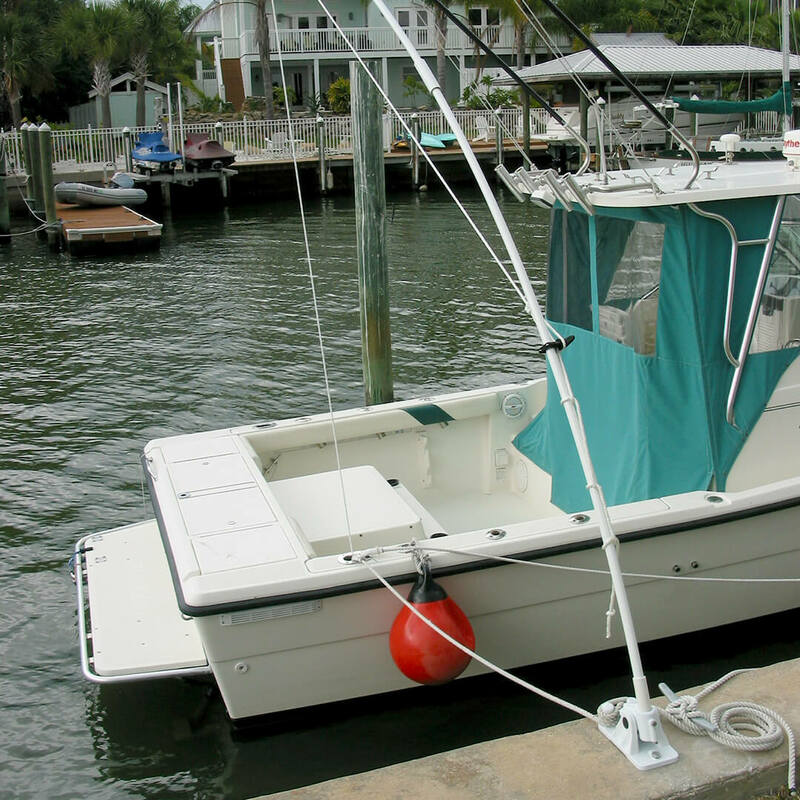 The Deluxe is equipped with a fixed angle base and is intended for use with runabouts, center consoles, ski and bass boats. 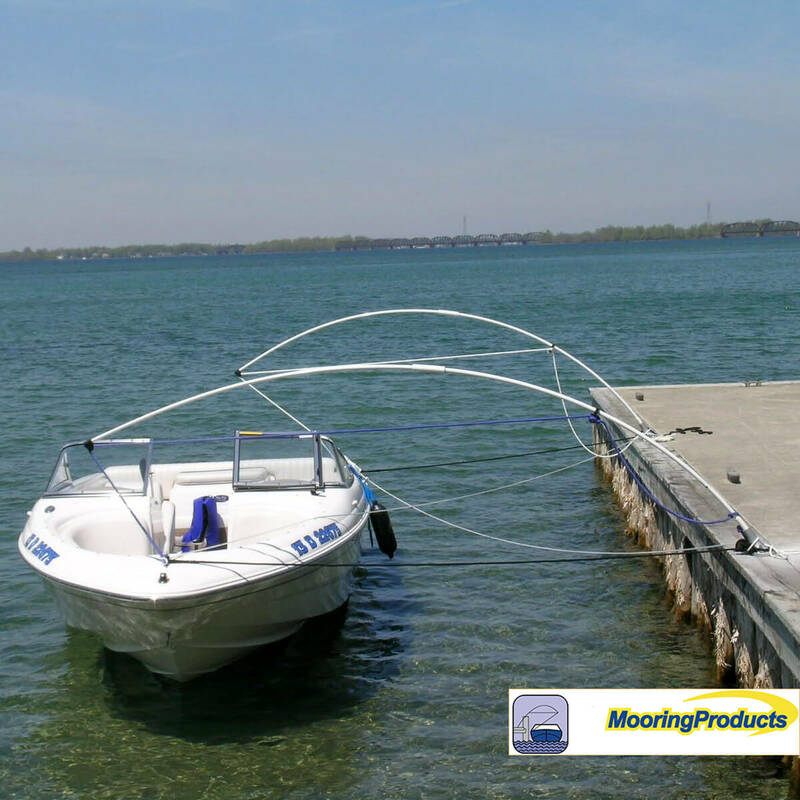 At Mooring Products International, we have a product for every size, weight and style of boat. D - 080 To 17' To 2500 lbs. D - 120 17' - 23' 2500 - 5000 lbs. D - 140 23' - 28' 5000 - 10,000 lbs. The Ultimate is equipped with a rocker arm base which pulls the whip up and out of the way when not in use. 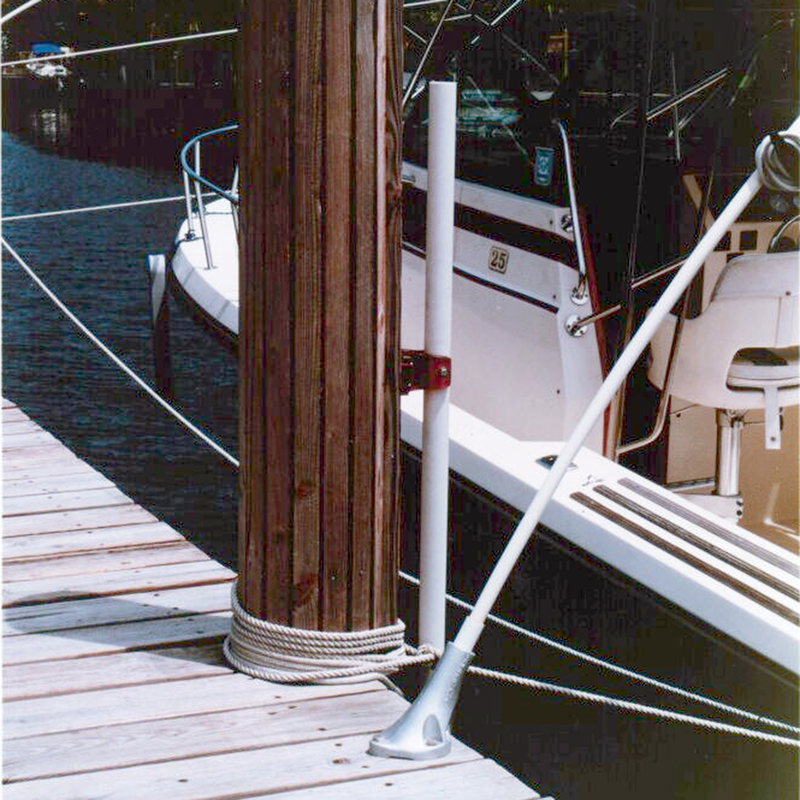 The Ultimate is designed for sailboats, large yachts, fishing boats rigged with towers and pontoon boats. 1400 To 33' To 20,000 lbs. 1600 34' - 46' 20,000 - 36,000 lbs. 1800 46' - 56' 36,000 - 48,000 lbs. 3600 56' - 75' 48,000 - 72,000 lbs. Please note, when determining whip model, weight is more important than length of vessel. THREE YEAR UNCONDITIONAL (NON PRO-RATED) FACTORY WARRANTY. Everything is shipped in one box via UPS right to your door.